When it comes to hardwood flooring there are certainly a number of considerations for all homeowners. Wood species, plank width and color top the list. We have two more considerations that many homeowners overlook: where your floor is made and where you buy your hardwood floor. There are many different hardwood flooring manufacturers but only a few that meet the high standards of Kermans. And that's why you want to shop at Kermans hardwood flooring store in Indianapolis. We are experts in hardwood flooring and offer that knowledge to help our customers make the best hardwood flooring choice. Why is Kermans the best place to buy hardwood in Indianapolis? See more of our hardwood brands. Be sure to consider more than just solid hardwood. These manufacturers also offer high quality engineered wood, laminate wood and luxury vinyl that looks like wood but with different maintenance and installation benefits. Learn more about types of wood flooring. 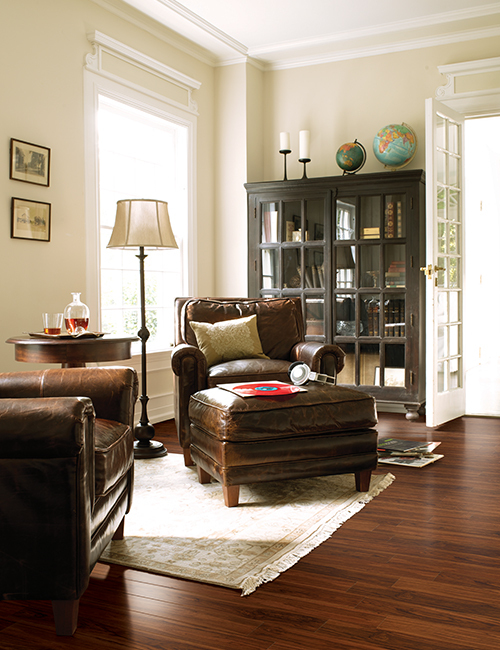 We know you have a lot of choices when it comes time to shop for hardwood floors in Indianapolis. Why should you shop for hardwood at Kermans? Well the list of leading hardwood manufacturers above is certainly one reason. Even better is the fact that we have a knowledgeable staff that can explain the differences in each of those brands, their benefits, their prices and how they match your lifestyle. Simply put, the level of service you'll find at Kermans is far above what you'll find elsewhere. We don't just want to offer flooring - we want to help our customers find the best hardwood flooring for their needs. It's part of what we call the Kermans Advantage: Family-run. Customer focused. Affordable options. Most up-to-date products. Learn more.